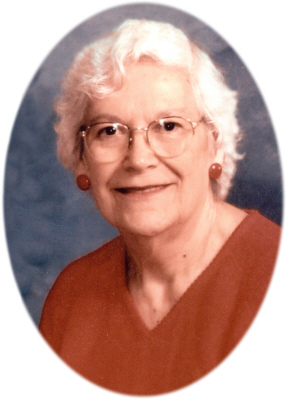 Margaret Ruth Dollarhite age 91, of Dewitt, MI, passed away Friday, April 5, 2019, at Gunnisonville Meadows, Lansing, MI. Funeral Services will be held at Smith Family Funeral Homes - Osgood Chapel, St. Johns, MI, on Monday, April 8, 2019 at 11:00 A.M., with Rev. Dr. Brandon Dollarhite officiating. Interment will be held on Tuesday at 1:00 P.M. at Chapel Hill Cemetery, Lansing, MI. Visitation will be held on Sunday, April 7, 2019 from 4-7 P.M. at the funeral home. Margaret was born in Elm Hall, MI on September 16, 1927, the daughter of Arthur C. and Pearl M. (Barnes) Ries. She graduated from Fulton High School with the class of 1945. On October 5, 1945, Margaret married Eugene C. Dollarhite in Lansing, MI. Together they shared 59 years of marriage prior to his death on October 16, 2004. Margaret was a talented seamstress. She sewed from an early age making Barbie clothes to wedding dresses, even sewing clothing for many entertainers in Branson, MO. In her youth, Margaret delivered the GRIT newspaper on her bicycle all over the rural area in which she lived. She later worked for the Chrysler Trim Plant in Lyons, MI for 17 years. Margaret resided most of her adult life in DeWitt, MI and Highlandville, MO. Margaret is survived by 7 children: Max "Marvin", Todd (Marsha), Dean (Judy), Ronald (Deana), Debra, Randall (Debrah), and John (Judy) Dollarhite. She is also survived by 23 grandchildren; 38 great-grandchildren; and 4 great-great-grandchildren. Margaret was preceded in death by her parents and her husband. The family would like to thank the staff of Gunnisonville Meadows and The Care Team Hospice for their excellent care of their mother. Memorials may be made to The Care Team Hospice, 30600 Northwestern Highway, Suite 245, Farmington Hills, MI 48334. Online condolences for the family may be made at www.smithfamilyfuneralhomes.com. The family is being served by Smith Family Funeral Homes - Osgood Chapel, St. Johns, MI.